climate zones: what can I grow in my yard? Healthy soil tells you what it can and cannot support and grow. important bits of information you want to have when it comes to backyard gardening. There are two basic topics that have significant influence on just what will live and grow happily in your yard. In the end, it all comes down to getting a grip on your dirt and knowing your zones. 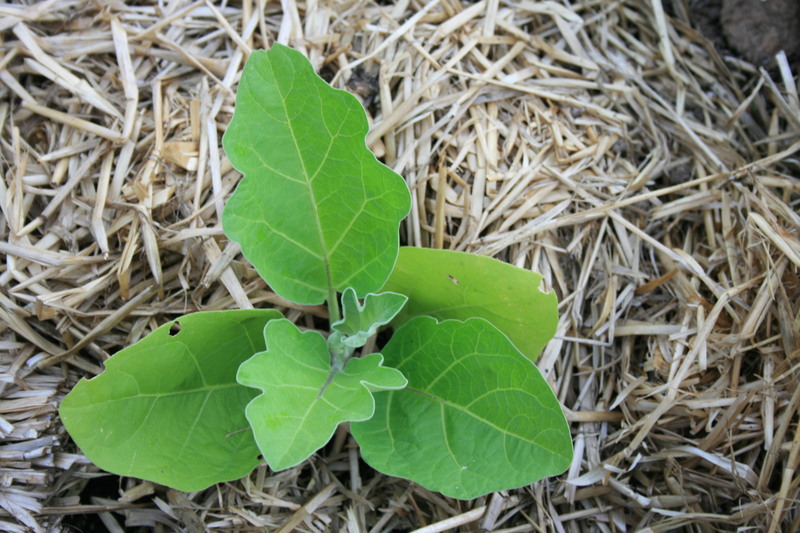 We’ve all got dirt – a growing medium, a place to stick our plants. But it’s what kind of dirt you have that will influence what you can grow. There are all kinds of definitions out there for dirt or soil but, bottom line for gardeners, soil is NOT the stuff you buy in bags at your local big box store. It is the stuff we walk on, the stuff plants, bushes and trees sit in. Soil is the stuff we start our seeds in, transplant our baby plants into and set our ready-to-grow plants into in our gardens. And the dirt in your backyard will tell you, loud and clear, whether it is happy and healthy and whether it can support what you are putting into it or not. For me, the magic of my garden is in the dirt. 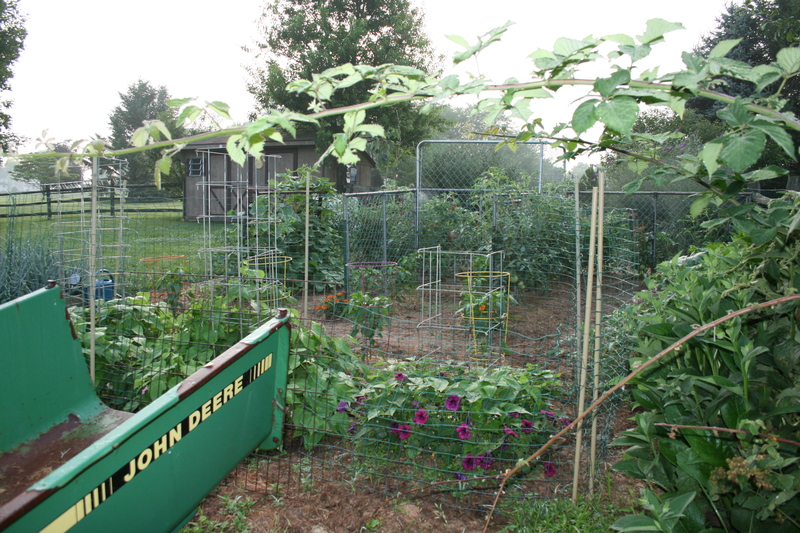 If you’ve been considering doing some backyard gardening, I’m sure you’ve heard of “zones.” When I first started, I found the concept of zones a bit overwhelming. And the fact that global warming has made my zone wander a bit on the USDA map just added to my confusion. It took me a bit to figure out this “zone” thing and the fact that zones affect what you can and cannot grow. I have to say that I think Dr. Thomas Osborne really nailed what anyone needs to know about zones so I am sharing his post. FYI – Dr. Osborne is a Harvard trained Radiologist and Neuro-radiologist, not a botanist or a so-called pointy-headed intellectual. And he just loves to share his insight about medicine and gardening. So, without further ado, Dr. Osborne on getting your zone on! 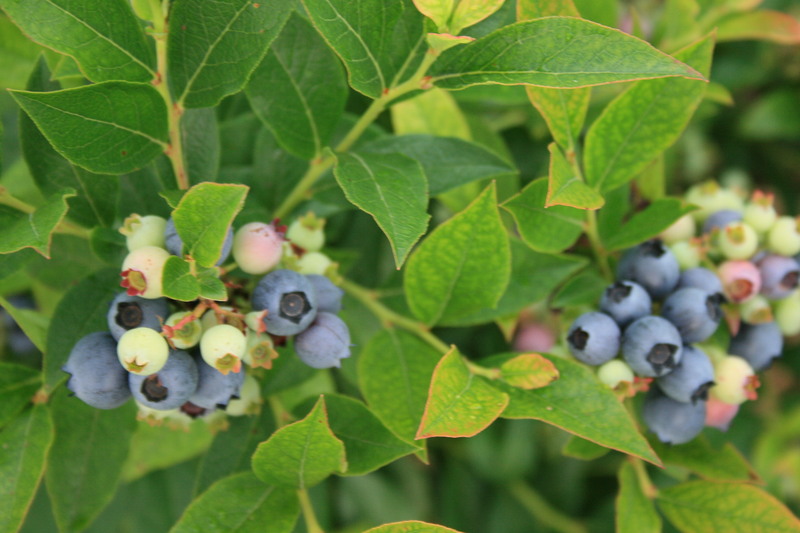 climate zones: what can I grow in my yard?TastyLandscape. via climate zones: what can I grow in my yard?TastyLandscape. Today I just want to share some of the glorious pictures from my garden which has finally decided to grab on and grow! First the Montmorency cherries! I picked 12.5 quarts and my friend Julie got a little over 12 quarts too. Sour cherries covering the branches of my trees. 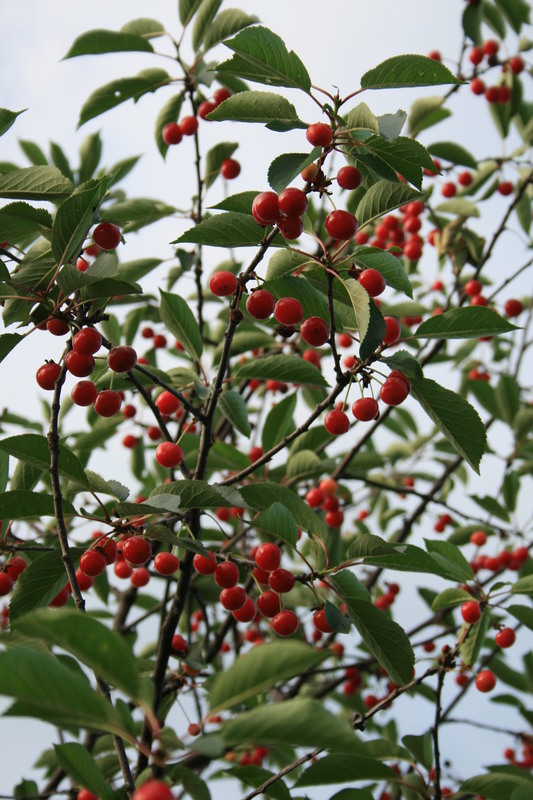 Right now, just about the same amount of cherries still on the branches of my two trees. The sour cherry trees are full of cherries this year, probably 40 to 45 quarts. I have 2 gallons of cherry brandy “cooking” in the closet. Love making brandy because you don’t have to pit the cherries – just dump them into the pot and boil them up with vodka and brandy. I also have half a gallon of dried cherries in my refrigerator. I used my Excalibur one of the best food dehydrators on the market — to dry 7 trays of them — pitted of course – and will use them in scones (great with organic chocolate chunks) and in my Quinoa Butternut and Dried Cherry Salad with Goat Cheese! 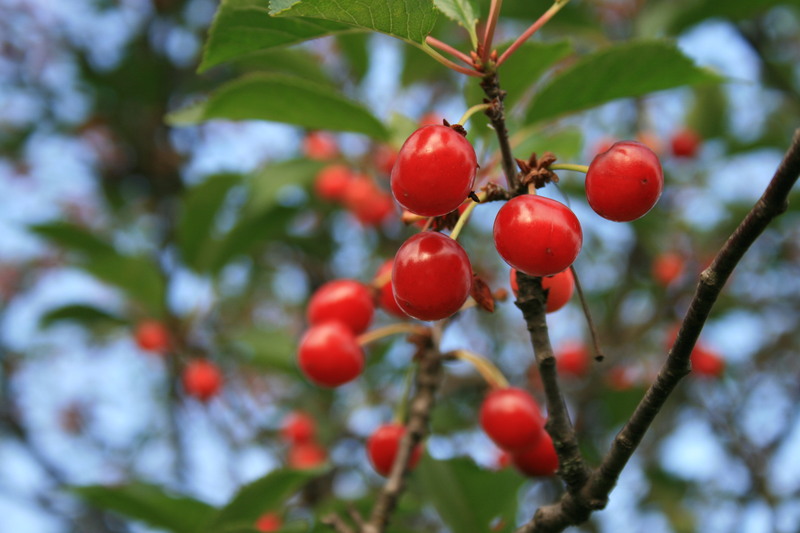 And I still have enough cherries to make 2 batches of Sour Cherry jam – absolutely fabulous on biscuits or cornbread. 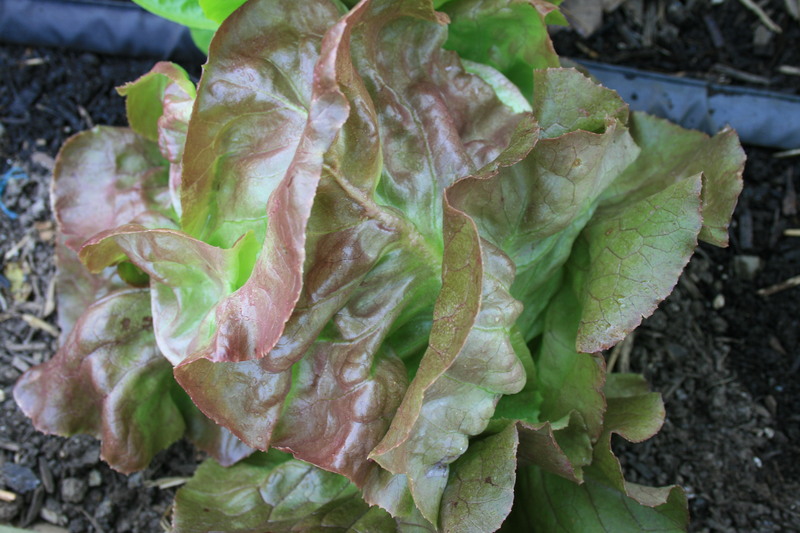 My lettuce is about done but I still have some of my favorite – red butterhead. This head is just right for the picking. The head it forms is loose but can be harvested whole so you can core it, plate it and serve it just like it looks in this picture. Or you can cut it in half and serve it like a wedge or just cut it up and serve it in a mixed green salad. My favorite and worth growing because it is no work at all. 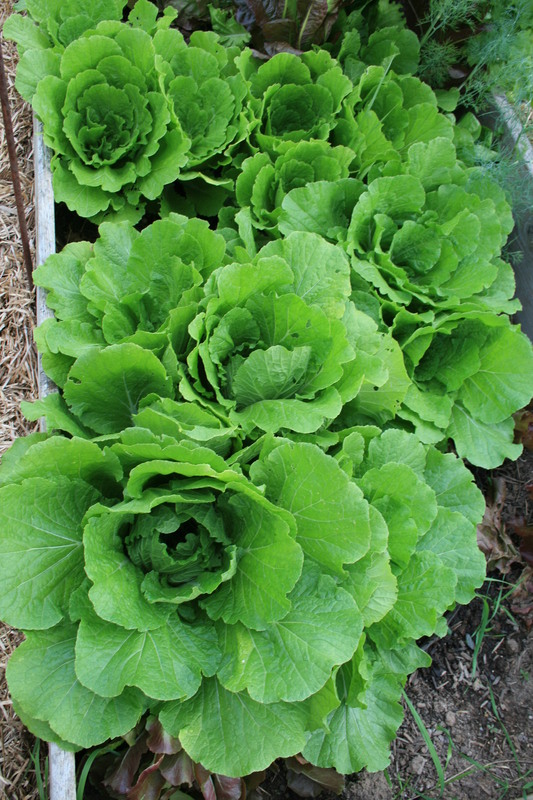 Lettuce bolts quickly when temperatures rise. doing, you might want to leave a few heads in the ground to set seeds. Some people don’t like the way bolted lettuce looks but I think it’s pretty. I let 2 or 3 plants of every variety bolt then collect the seeds and use them for fall plantings and next year’s garden. 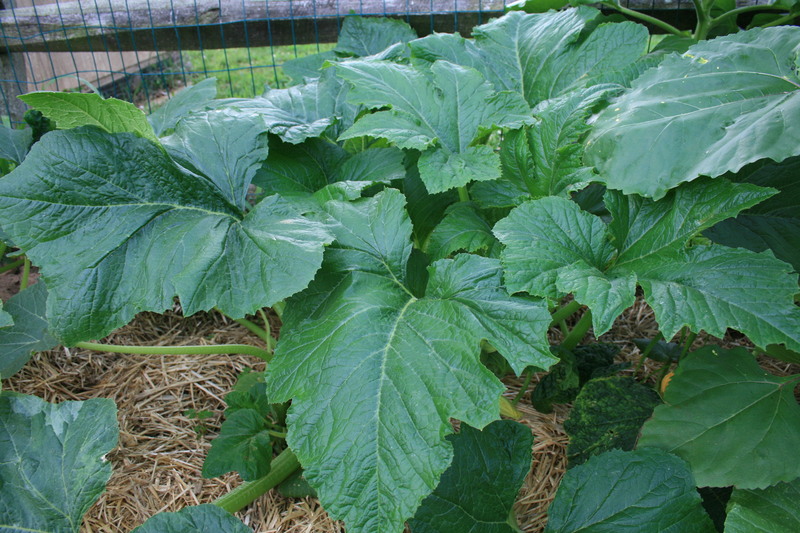 I could go on and on about all of my plants like the yellow squash plants you see here. This yellow squash doesn’t have a stem; it has a trunk! 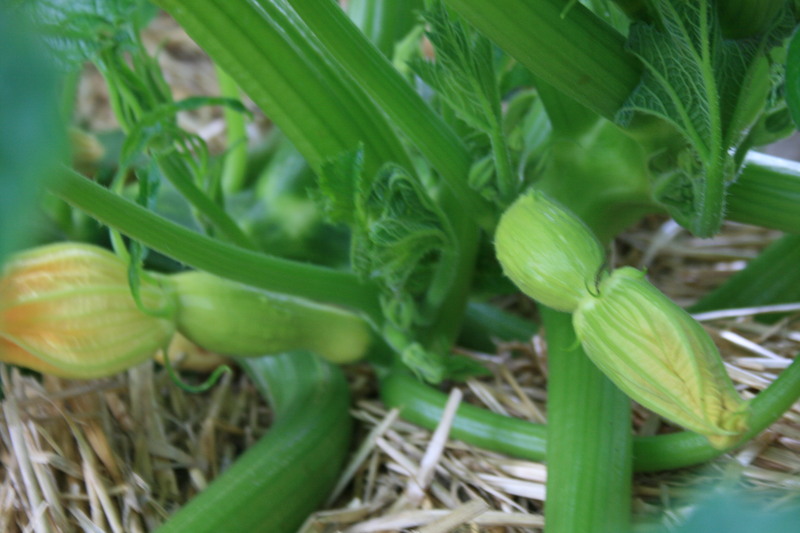 The first yellow squash on this impressive plant. Or the pole beans that are climbing up the fence. 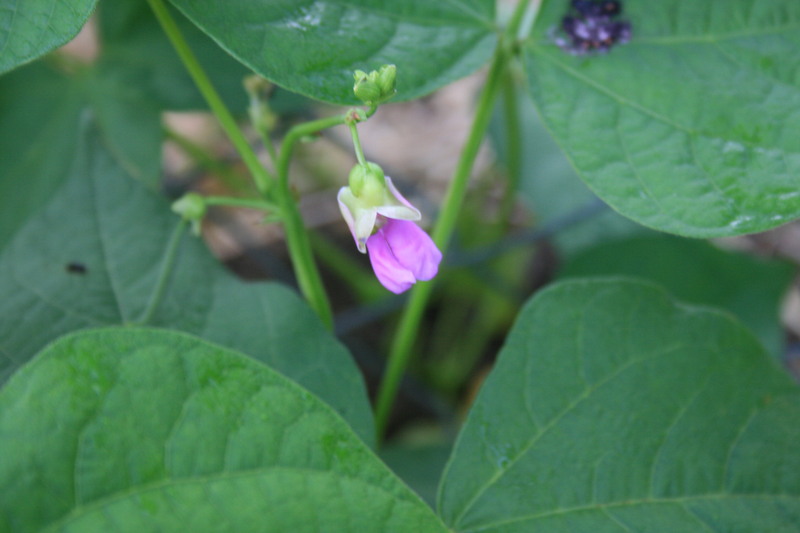 And the Bumble Beans just setting their beautiful deep lavender flowers. So, instead, I will leave you with pictures that speak a 1000 words….about this year’s beautiful garden. 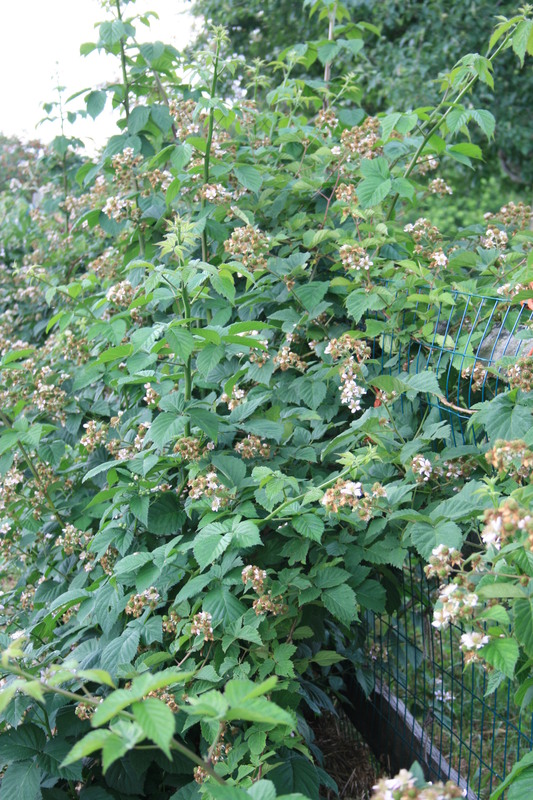 Blackberries setting on the bush. 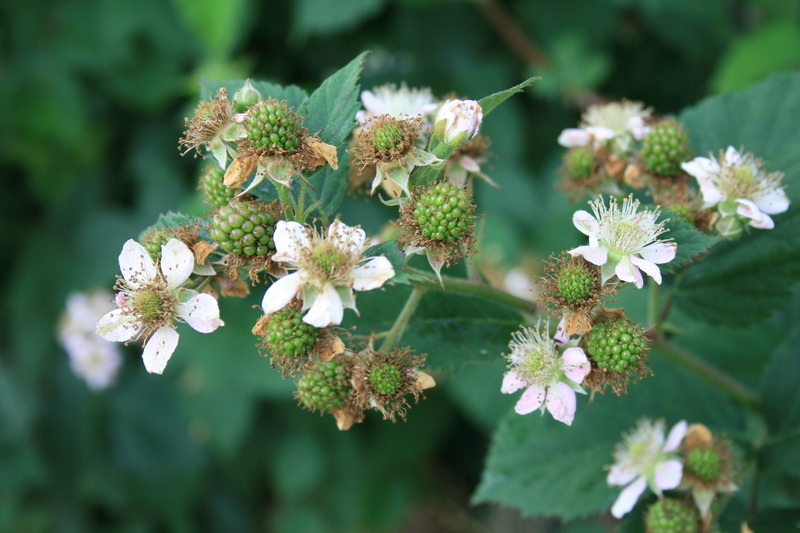 Doyle Thornless blackberries are healthy and strong and setting an enormous number of blossoms which will lead to an enormous amount of fruit for brandy and jam. Two of my favorite gardening resources got together to discuss how to grow figs and the outcome is an information-packed article coupled with a podcast! Lee Reich, whose books include Grow Fruit Naturally: A Hands-On Guide to Luscious, Homegrown Fruit , The Pruning Book: Completely Revised and Updated and Weedless Gardening , shares his secrets for growing figs with Margaret Roach — a gardening expert in her own right. FYI – in case you’re thinking it’s too cold where you live to grow figs, read on. Both of these gardeners live in Zone 5 and still grow figs. And the topic of growing figs is one of my favorite. I have two fig trees in my Southeastern PA zone 6 – one is the Celeste the other was a cutting from a tree brought to America in 1910(?) by a friend’s great grandfather. Both did beautifully for years, providing so many figs that I gave them away, diced and froze them and made fig jam! But in the last 2 years, the very cold winters have really hurt them. I am back to just getting stems with leaves growing up from the roots in the ground that survived. I hope to get figs again next year or the year after because this is a superb fruit. One of my favorite ways to eat them is right off the tree! But if I manage to get a few in the house, I chill them, cut them in half, place a small round of goat cheese on each half and drizzle balsamic vinegar mixed with honey on each half. Heaven! I hope you enjoy Margaret Roach’s interview with Lee Reich and give figs a try!